Valentine's Day. The best day of the year to be single. No worries right? You just go about your day as if it were any regular day. And really, what more could you ask for? If you do want some troubles though, perhaps these little water babies are for you. 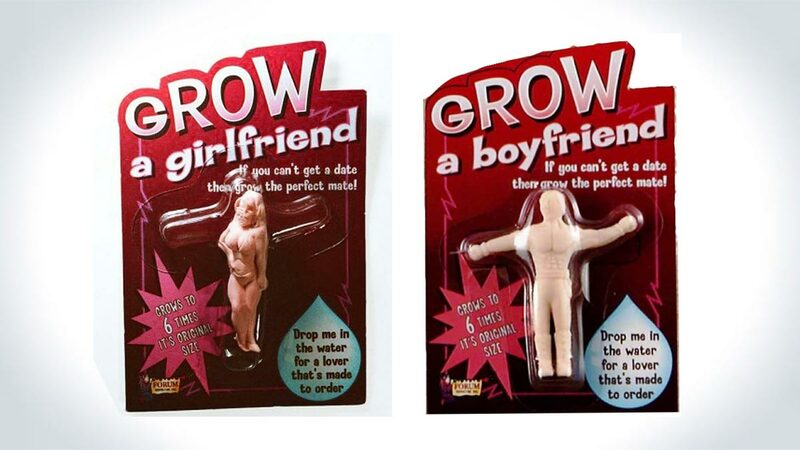 The Grow A Girlfriend / Boyfriend novelty gifts grow to six times their original size, starting at 2 inches and growing to approximately 12 inches. The math checks out folks. Just drop them in water and wait for 3 days for the full metamorphosis to take place and you have the perfect partner. And when you're done with whatever it is you want to do with the full 12 inches, just set it out to dry and use her / him again. It's not pretend when you grow the perfect friend. The "Grow A" set comes standard with abs and over-sized breasts respectively.